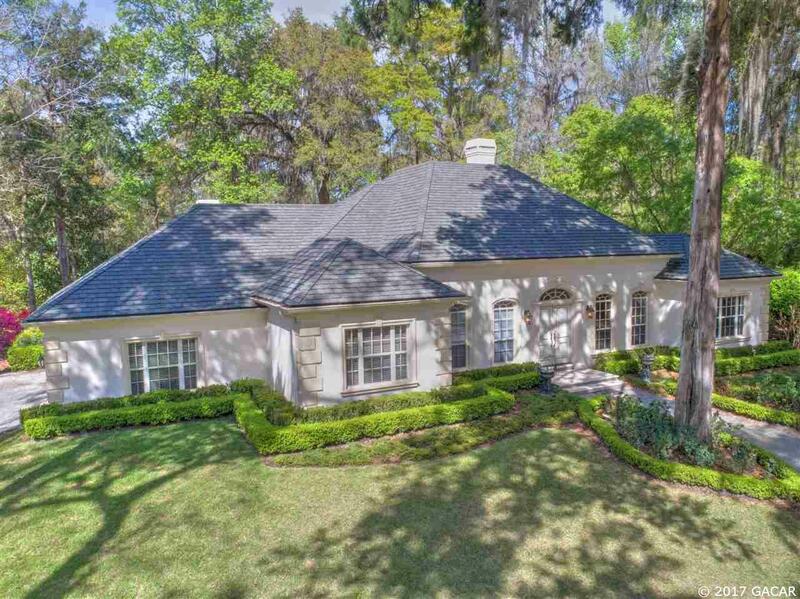 Welcome to this charming two acre estate in this prestigious gated community located in the heart of NW Gainesville. 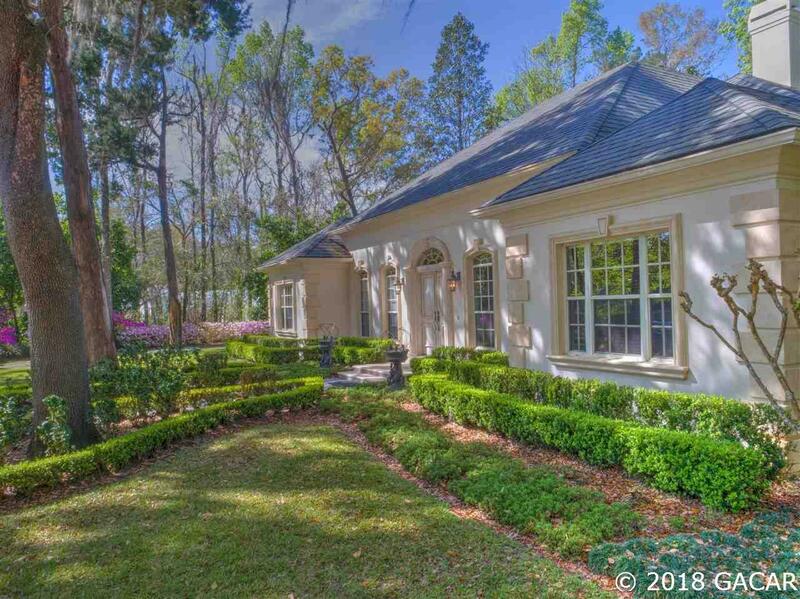 This home is an architectural masterpiece within a setting of perfectly balanced custom designed gardens. This unique 4-way split home with high ceilings and molding offers flexible living spaces. Two fireplaces, 12 French doors, professionally designed built-ins, recessed lighting, security and sprinkler systems. 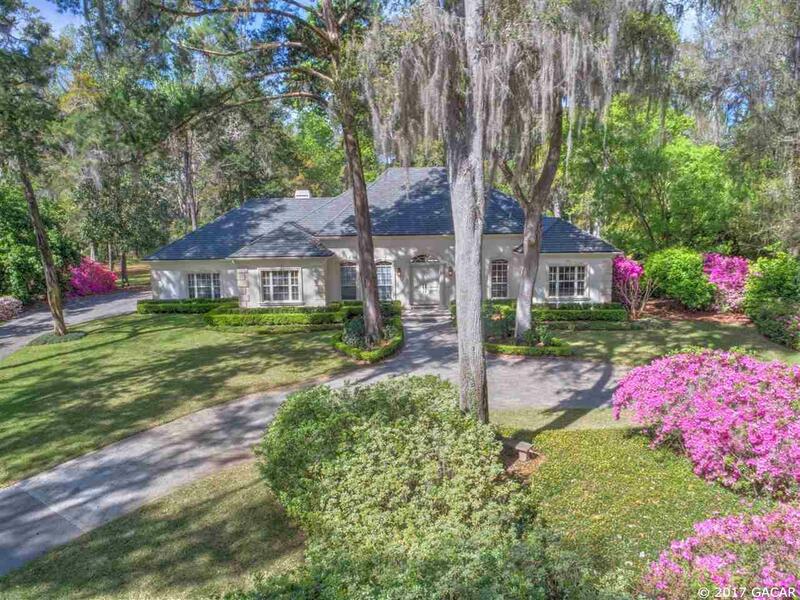 The acreage has room for full tennis court, basketball court and guest house. The pool and fountains are the center of the entertainment area with most rooms having direct access thru French doors. 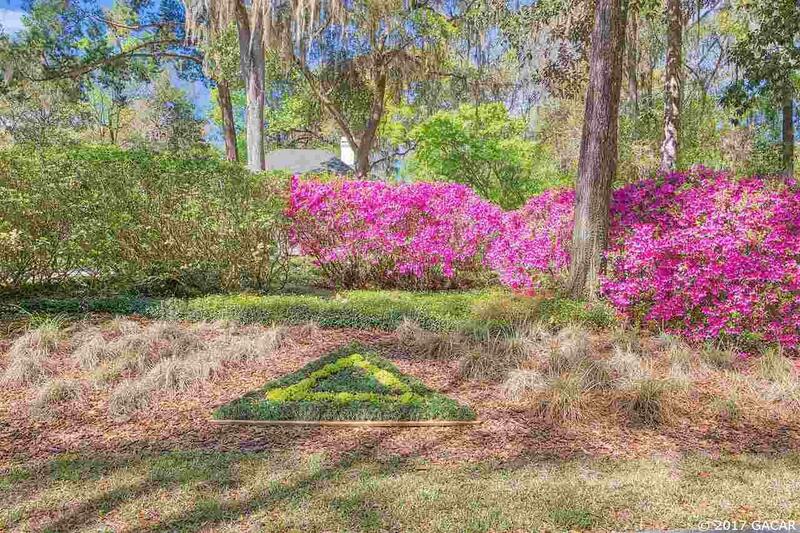 this home has been meticulously maintained and is a solidly constructed concrete block home. 2014 roof. Wonderful roads in neighborhood to walk in natural setting.